Welcome to Saturday Business chat. Who would have guessed that I was planning to have a mind reader on here? (Sorry, just my little joke: Paul must get this all the time and actually he is quick to explain that it’s psychology and not psychic business that lies behind his shows!). Let’s say hello to Paul Brook, Mind Reader. I think I came across Paul on Twitter and he’s a nice supportive Follow Fridayer and all of that. Once again, we see there’s nothing new under the sun, with Paul using a skill set he’d already built up, discovering the power of networking, etc. But I do like his mention of making sure you save up your money, and I’m not sure if anyone has brought that up yet. As a small business owner, I am certainly glad of the savings I built up right at the start of this process as I come up to a rather tricky year financially and tax-wise (keep reading this blog next week to find out why!). So there’s some really sensible advice in here – don’t just think you’re going to find out about performing! My business is Paul Brook Mind Reader, which was set up around eight years ago. I perform psychological mind reading as a form of entertainment around the United Kingdom and the world at large. It’s not psychic mind reading, but more the use of non-verbal communication and psychology to give the appearance of genuine mind reading. After many years as a psychologist, I wanted to entertain people using the skills that I had cultivated over many years of study and application. As a person who is quite happy entertaining friends and family, it was always the natural progression for me to make. Starting off my career as a psychologist helped me to go down the path of entertaining with the skill set that I had already developed. Yes I previously had a psychological therapy practice, however, while it was successful, I didn’t feel it was emotionally fulfilling for me. I started off performing mind reading part-time and very occasionally. Then it began to snowball and I found myself doing more psychological mind reading than psychology in the therapy practice. That you need to work hard to market the business, not just do a few things and hope that lots of business will come your way. The first stages of a business are the most critical, and also where the most amount of marketing and advertising would be of the greatest benefit. Ironically, often new businesses scrimp on the advertising when working out a budget. If I could go back to the young Paul Brook Mind Reader and give him some advice it would be to remain unrestricted by what people tell you won’t work. There are always people who will shoot down any dream, or tell you that your idea won’t work. At the end of the day, none of us can see into the future, so nobody knows. The only way we can know if something will work is to go ahead and do it. Never let anyone tell you something won’t work: when they do, go and do it and find out for yourself. I remember so many lost opportunities that would have given me so much more of a boost in my early years, all just because of listening to naysayers. I wish I had understood the power of networking earlier. I tried a networking meeting years ago and it was terrible. But the networking meetings these days are completely different and diverse compared to when I first tried them. These meetings are so plentiful that you could network in a different meeting every day of the week if that were your wish. 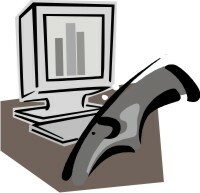 Being self-employed and in an industry in which work is sporadic, the thing I am glad that I have always done is save. It would have been easy in the plentiful months to spend like there was no tomorrow. But then the lean months would have left me struggling and worrying. By saving the money on the abundant months there is always money to use in the ‘dips’. This of course is good financially, but also emotionally, as you can still focus on the business and the generation of new leads, rather than worrying about food, shelter, etc. In two words … social networking. A lot of businesses have not realised the power of social networking and how it can boost your business. It can allow a business to have a personality; an emotional side that people can connect to. The people who follow you can build a real trust in your brand by becoming friendly and interacting with real people. If you don’t use Twitter and FaceBook, then get stuck in and build your friendship circles. Each year my business is ever expanding. I not only perform mind reading for some of the biggest companies in the world, but have had eight books published on the field of mind reading for fellow performers and also a book for the public called ‘Mind power Secrets’. I have changed from a single guy who does some amazing things, to a complete brand where I am THE product. Even busier than this year. Despite the recession, my business hasn’t fared too badly over the past couple of years. As we begin to move out of the economic downturn, I can only see the entertainment budgets of business increasing and more couples wanting to have a wedding. Corporate work and weddings are my two main income areas, so I predict that I will get up toa 25% increase in bookings as a psychological mind reader over the next 12 months. One thing I really like is that Paul’s very much taken on board my little twist of checking in on all my interviewees in a year’s time, commenting, “I would love to be reminded of what my previous year’s thoughts about my business were and how accurate my predictions were”. We look forward to finding out, too! Find out what happened next – Paul’s second interview. Do visit Paul’s website at www.PaulBrook.co.uk. If you’ve enjoyed this interview, please see more freelancer chat, the index to all the interviewees, and information on how you can have your business featured. Heterogeneous, on the other hand, means diverse in character or content (a heterogeneous chemical process is one involving substances in different phases, e.g. mixing a gas with a liquid, in case that helps you remember). It comes from the Greek, again, for other race/kind. And, yep: heterosexual. Note the spelling, by the way: -geneous, not genous. Not even if you’re in the US, I believe. So a word pair and a pair of prefixes defined for you today: extra value! I work with a lot of students, and one of the things that seems to be an issue is how exactly to use your sources when you’re writing an essay. So I thought it was time to write some notes to help you. How will this article help you? 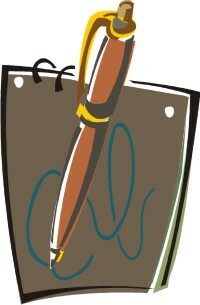 This article will help you to avoid plagiarism. I’m going to take a text I’ve written and re-write it in some different ways. Because, and this is important, if you just take text from somewhere else and dump it into the middle of your essay … that’s plagiarism. 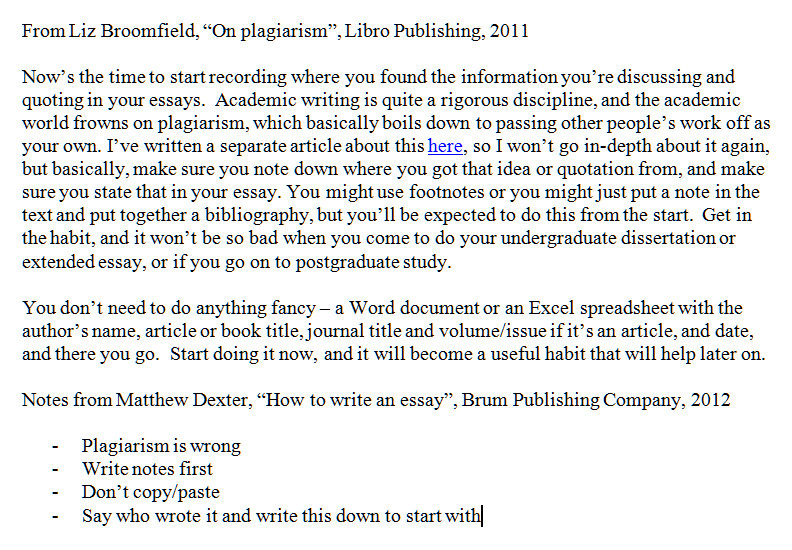 Plagiarism is serious. It’s passing off someone else’s work as your own. And most academic departments use plagiarism detecting software. If they run your work through the software and it shows you’ve plagiarised, you may well have marks deducted or the whole essay may be returned unmarked. What’s wrong with just cutting and pasting stuff I’ve found? It’s morally wrong to plagiarise. You won’t gain an understanding of the text if you just paste it into your essay. How do I use source material in the correct way? So, how do we do it. Here is a passage I’ve copied from one book and some notes I’ve made from another one. These are the sources for my essay. So what I’ve done here is take sections from the text, put them in quote marks, noted where they’re from, and linked them appropriately so it’s clear I understand what I’m talking about. Note that if you start off in the present tense, “Broomfield (2011) says that there are … ” you need to continue in the present tense; if you start off in the past “Broomfield (2011) said that there were … ” you need to stick with that. You can pop into the present tense if you are talking about a universal truth rather than something rooted in the time frame, so “Broomfield (2011) said that people are always likely to plagiarise” but “Broomfield (2011) said that the results of her study were not clear and she was not able to draw conclusions from them”. Mary says “I am going to the park”. summarising and synthesising (summing up and putting together) “Software such as Word or Excel could be used”, and “keeping a record of the author, title, journal information and date”. Expanding notes into full sentences: the notes taken on the Dexter text. Oh: please note here that you use “Broomfield (2011) says this is the case ” or “According to Broomfield (2011) this is the case” but never “According to Broomfield (2011) says this is the case” – I see that last one all the time. Of course, the best way is to combine them – some direct quotations, some reported speech or indirect quotations. This has the benefit of breaking up the text a bit, giving some interest, and allowing some use of the authors’ words to save having to rewrite everything. Note that here I have shuffled around the order of what the first author says, too. Please do let me know if you’ve found this useful – or if there is more detail you’d like to know about. And do share using the buttons below if you’d like to tell your friends and colleagues about this information. If you want more … here is a whole article on plagiarism, here is one on essay writing in general and one on writing dissertations and theses, and if you click on the students or writing or Word categories in the right hand column of the blog, you’ll get loads more hints and tips. Here is another pair of words with an identical meaning but subtly different uses. There’s a style warning at the end, too. We like a style warning, don’t we! Both though and although mean” in spite of the fact that”, “however”, “but”. “Although he’s messy at home, he’s very organised at work”, “She was a plainly dressed woman, though with a flamboyant taste in hats”, “The dogs, though fierce in appearance, were friendly”. Although is the more formal of the two. I prefer it to though at the beginning of a sentence, which is the traditional way of doing things. “Though he was firm, he was fair” just looks better to me as, “Although he was firm, he was fair”. And finally, you shouldn’t start a sentence with either of these if it’s actually acting as a linking word between the previous sentence and this one: “He was firm. Although he was fair too”, or if it’s making a link between two concepts in the upcoming phrases: “Although he was firm. He was fair too”. Make sure both of the linked ideas are in the same sentence. Welcome to Saturday Business chat. We’re finding out about a brand new business today: Kaitlyn Hatch has only just launched Me First Life Coaching! Kaitlyn’s one of those natural entrepreneurs, finding out what the word meant when she was 12 and has been producing and selling art and engaging in various business ventures since she was very young. Now she’s a Life Coach, helping other people achieve their goals – although she hasn’t done this particular job before, she can draw parallels between how this business will work and how other endeavours have worked in the past, showing that you can switch emphasis and move between areas in a freelance career. Kaitlyn’s following the path I took, working full time in a day job at the moment, but planning to transition to part time and then fully self-employed soon (sooner than I did it!). So let’s find out what she’s doing! I just launched Me First Life Coaching in January 2012, although I did a soft launch of my website in November 2011. I have alway been very entrepreneurial. I remember taking a test in a magazine when I was about twelve which said I was extremely independent and self motivated so I’d do well to be an entrepreneur. That was the first time I heard the word and I had to ask my mum what it meant. When she explained it. I remember thinking that owning your own business was a lot of work. I’ve since come to realise that there is a lot of reward in the work involved and, ultimately, I’m better suited to being my own boss than to working for someone else. Life coaching is a natural choice for me. I love helping people realise their potential and I really enjoy showing people how they are their own greatest teacher. It’s second nature for me. Sort of. Since I was a kid I’ve been really good at selling things. I used to hand draw colouring books and sell them door to door in my neighbourhood. From the age of nineteen for four years I set up a not for profit organisation in Canada. For the past three years I’ve been doing my own self marketing as an artist. I’ve held two successful gallery shows, one in Calgary and one in London. I like making things happen, setting stuff up so it works and can carry on and then moving onto the next thing. This will be a bit different from my previous experience but the principles are the same. I’m still in the process really. I’ve done a soft launch and then a hard launch. Now I’m working on spreading the word, getting networked through my blog and advertising for clients. I believe goals are super important but I also believe in keeping your eyes wide open. If you focus too much on a single goal you might miss another opportunity that will get you the same end result. For the time being I’m still working full time for someone else, but I’m cutting back my hours and have plans to be fully self-employed by the end of the summer. Nothing really. I’ve been fortunate in that I’ve had a lot of positive support my entire life. I’ve always believed that you need to just get on and do it. If there’s something you want in life, some direction you’re looking for, a path you want to take, then do it. Now. Life isn’t next week or next month or in a year. Life is right now and it’s up to us to make it what we want it to be. I think I’ve always been entrepreneurial but I think I’d go back to my younger self and say, “Remember who you are.” I wasted a few years when I forgot who I was, what I was passionate about and what mattered to me. Of course, if I hadn’t have gone through that loss I wouldn’t have learned the lesson and when older me popped up in front of younger me and said such sage words of wisdom, I’d have been more baffled than appreciative. Thing is, I really love myself, who I am and the life I’m leading. I wouldn’t be this person if not for the mistakes and hiccups of the past so I can’t really say I would go back. Not a thing. Regrets shouldn’t be about ‘what ifs’ or trying to change what cannot be changed. They’re about learning from your mistakes by promising not to repeat them in the future. I’m super glad I’ve done it. End of. Full stop. I’m happy to have made the opportunity and taken the plunge. Know what you’re worth. I think a lot of people undersell themselves. Whether you’re working for someone else or working for yourself, what is the value of your time? I certainly hope it doesn’t stay the same. Change is constant, growth is important. I don’t know that I have a really specific idea of where the business will be in a year’s time. On general terms I see it as self-sustaining, growing at a manageable pace and providing me with a stable income as well as feeding my passion for helping people. Note: Kaitlyn’s websites are now not available so I can only assume that the business is no longer running. Another pair of words that sound the same but don’t mean the same, and that get mixed up more times than I’d care to mention. Read on to find out how to differentiate between pore and pour. First off, the more uncommon one. To pore (over) something is to be absorbed in the reading of it. “She was so busy poring over the article on semiotics that she missed her stop on the Tube”. A pore is also a minute opening in the skin (etc.) through which liquids and gases can pass. But I don’t think that’s the usage that gets mixed up with this pair. To pour (over, out, etc.) is to flow or cause to flow in a steady stream. “Water poured down the wall as the shower leaked from above”; “she poured herself a cup of tea”. Short but sweet. The same sound, but different spellings, meanings and, well, words. “As she pored over the ancient manuscripts, it began to pour with rain”. 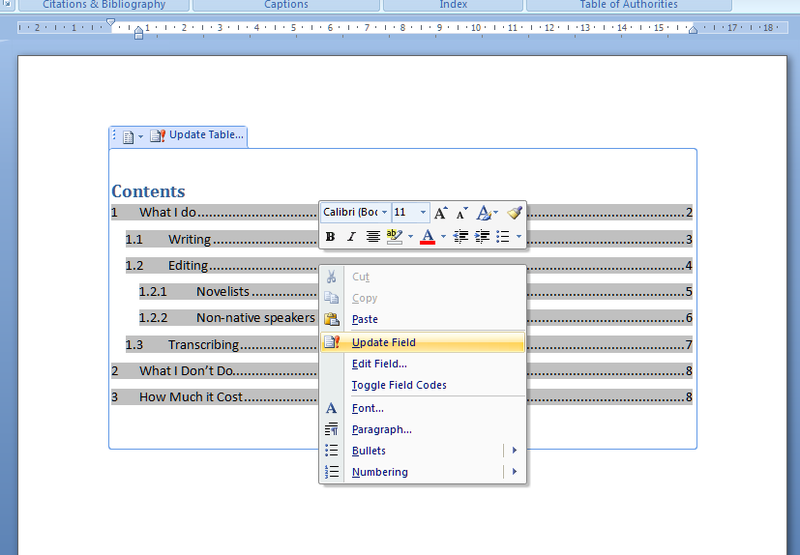 Today we’re going to look at how to create a contents page or contents list in Word. I am breaking this series up into small pieces, so we have already learned about setting up headings and then numbering them. You will use this to save yourself time and ensure consistency when you’re setting up a large document and you want it to have a contents page. You can do it manually, but it is FAR easier to do it this way. First, have a look at the two headings articles to make sure you understand how to assign headings and how to number them (if you want to). So the text is all set up, with headings that are also numbered, and each heading is on a separate page. Now we’re going to put our cursor at the beginning of the document, and make sure we’re in the References tab. Here we have lots of different styles of contents page to choose between. Either double click on the one you want – I clicked on the first one – or click once to highlight it and then Insert Table of Contents. And look what appears! Magic! You can see lots of lovely headings and their numbers, all laid out nice and clearly (imagine if this was a PhD or another long document with lots of sub-headings. I can see that I should have typed “How Much it Costs” for section 3, and it’s on page 8 along with Section 2, when it should be on page 9. Oh no! Great – so now the text is sorted out and the heading is on page 9, where it should be. 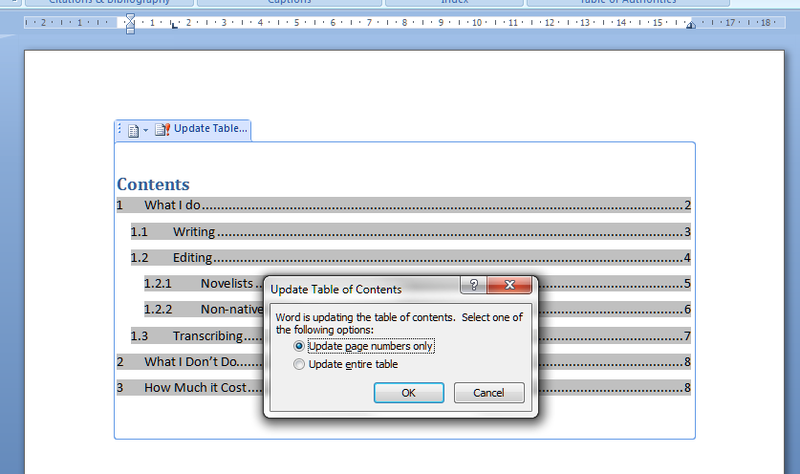 How do we update the Table of Contents to reflect this change? 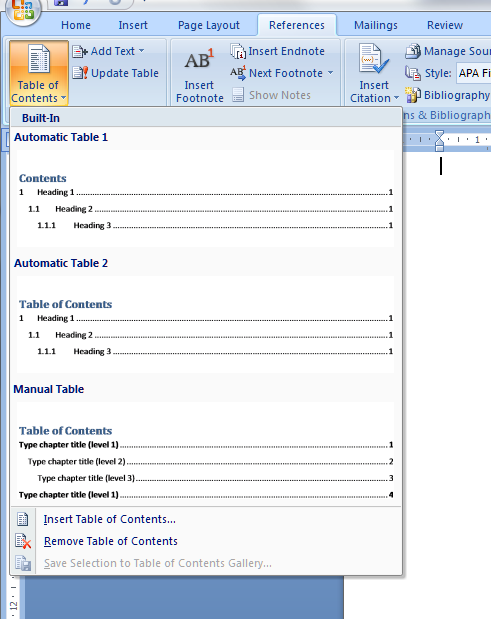 Go back to the Table of Contents and highlight it (it all comes up in blue if you click on one bit of it). Left click and you should find it puts everything in grey and gives you a little tab at the top like this. I always choose Update entire table, just in case. And with one click, it’s updated the Contents list to match the document. So, no more fiddling around doing a contents page by hand. As long as you set up your headers, you can insert and update your Contents page however you want and whenever you want – so much easier! This is why, if you use my proofreading services, I will put a note on your contents page reminding you to update it at the last minute, to take into account any changes we might have made to your pagination or heading numberings. 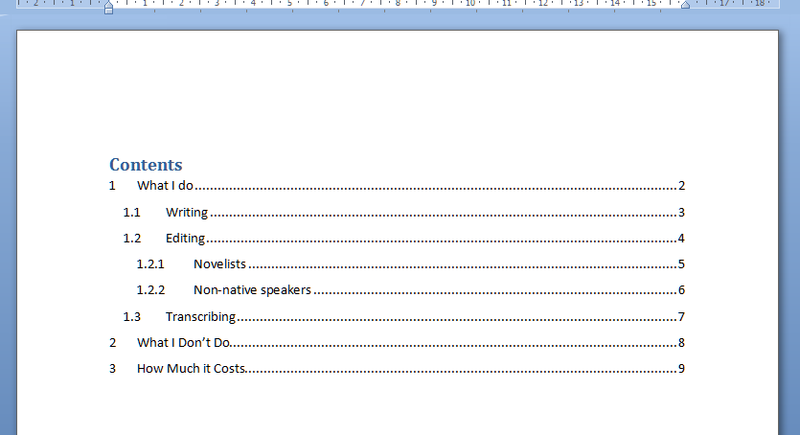 Update the Contents page at the very last stage, and it’ll be completely accurate and up to date. If you have enjoyed this post and found it useful, please click on the “share” buttons below or tell your friends and colleagues about it! Thank you!